This is my second build on here, and I figured I'd document everything better this time around. Sorry for the picture-flurry in advance haha! CPU: It's the cheapest Core i3 - that pretty much sums it up. The Hyper Threading makes it able to run 4 threads at a time, which does help it outperform the Pentiums. The price gap between this and the 4330 is a bit larger here than on this site - otherwise I would probable have picked that instead. CPU Cooler: I had the stock cooler from my i7 lying around, so I decided to use that over the i3 one due to the copper core. It may not make much difference, but I don't see why not. I did re-route the wire on the cooler to go the other way around. This was so I could mount it with the Intel logo oriented correctly. I do believe in things being neat - even though there's no window in the case. MOBO: This is probably the one place where I could have spent a bit more. The CHA fan header only supports PWM regulation of the case fan, which isn't a PWM fan. This means that it always runs at a full 12v, which creates unnecessary noise. Luckily, I had a low-noise fan adapter (aka a resistor in a wire) lying around, so I added that in, which helped a lot. 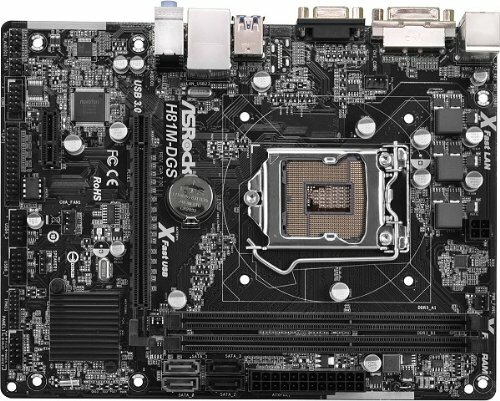 Also, there's no USB3 header on the motherboard, which means the front USB port isn't connected to anything. That's really a shame, and it annoys me that I didn't check this. RAM: Cheapest 1.5V 8GB 1600MHz CL9 kit around - simple as that :-) I was surprised to see just how low profile these sticks are - I doubt any coolers will have clearance issues with these! HDD: Again - cheap 1TB drive. 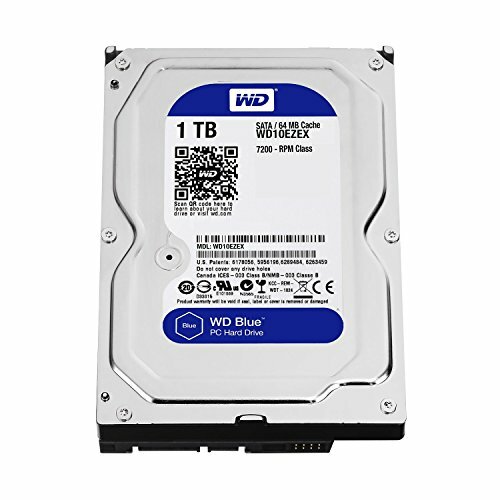 I like WD - I have a couple of them in my own rig, and I've been happy with their drives in the past. Case: Nice cheap case from a good manufacturer. This case really brought me back to the old days of system building - back when cable management was a proper challenge. There's not really any space behind the motherboard to store anything, so you're limited to the ODD bay really. I did put some effort into making this look as clean as possible, and I think I got away with it quite well. Obviously there are always things that could be done better, but I'm happy with the result. 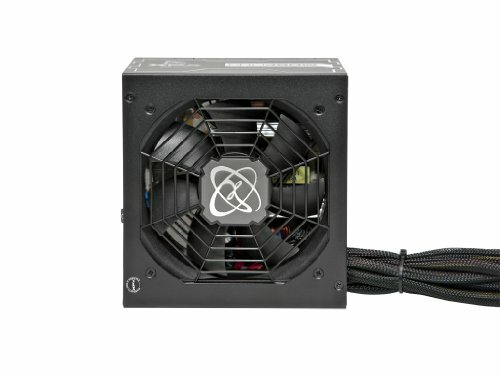 PSU: I have the 550W edition of this in my rig, and I have had nothing to complain about thus far. Great PSU for a great price in Denmark at least - it seems to be a bit pricey in the US compared to the alternatives. The DVD drive and WiFi adapter were just whatever I could pick up for next to nothing really. Thanks for reading - and sorry for the wall of text! Very good budget PC for your sister, +1! Also, looks like the case really didn't have any options for cable management but it looks like you got by. Thanks! :-) I hope so too - so far I think she's very excited about it. It runs her favourite game (Wildstar) with everything maxed out, which is a good start. This is an excellent budget build! So much performance out of not a lot of money! Thanks! :-) Yeah - I was surprised too. There's really a lot of value to be had around the $500-600 mark these days! Neatness should be practiced by everyone no matter what parts they have. I really do believe in neatness regardless of whether its visible or not. It feels good to know that everything inside the box is well organised even if you can't see it. Having good wiring also helps your airflow! Great build m8! This a great budget build! I might suggest doing a coverup job of the ports up front, and then down the road get her a different case that you can accomodate the ports for! still under $600 is a feat!! Yeah - I advised her to put a bit of tape on the USB3 port in the front. She won't be using it anyway, as the PC is located next to her TV, and she'll be playing from the couch.